Learn how to cook artichokes using two simple methods, boiling and steaming. Master the preparation technique for trimming the prickly leaves to make the plant meat easier to eat. I’ll also show you how to remove the inedible choke to enjoy the delicious artichoke heart in the center. Artichokes are beautifully colored olive green and sometimes purple globes that always stand out amongst the other vegetables at the market. They may look intimidating, but they’re actually really easy to cook. 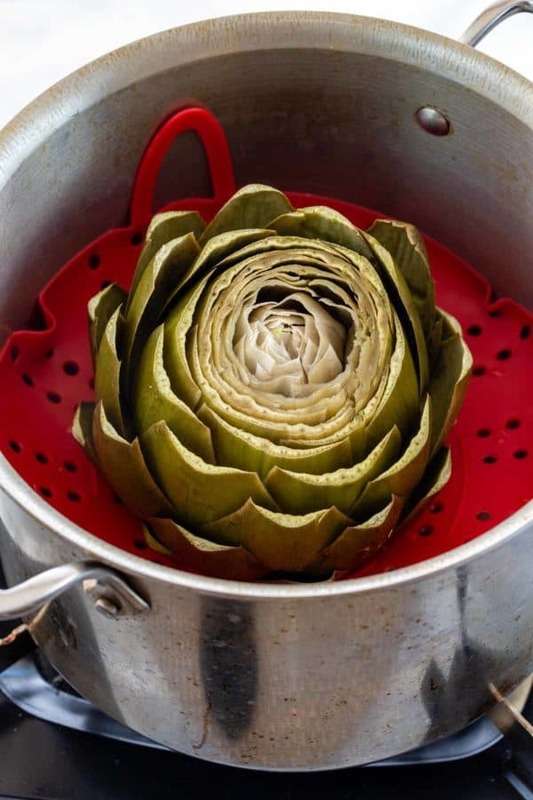 Using simple cooking methods like boiling and steaming softens the protective outer leaves and the artichoke heart. It’s a delicious appetizer to share as it requires a hands-on experience to eat. This veggie is a perennial thistle that’s a member of the sunflower family. It’s also loaded with nutritional benefits such as fiber, vitamin C, vitamin K, folate, calcium, iron, and potassium. Other methods like roasting and pressure cooking can also be used, but require a little different preparation. To cook a whole artichoke the first thing to do is cut and trim the outer leaves. The tips can feel prickly like thorns, so you want to cut a few rows from the top first to expose the inside of the vegetable. Depending on the size, that’s about a ½ to 1 inch. Use kitchen shears to trim off the very tips of each leaf. All of the edible meat is at the bottom of the leaves attached to the base, so you’re not losing any as you trim. Cut the stem off of the bottom so it can sit upright for serving. However, the stem is edible if the fibrous outer layer is peeled off. Prepare the artichoke and then bring a pot of salted water to a boil. Add to the water, reduce heat to a simmer and cover. 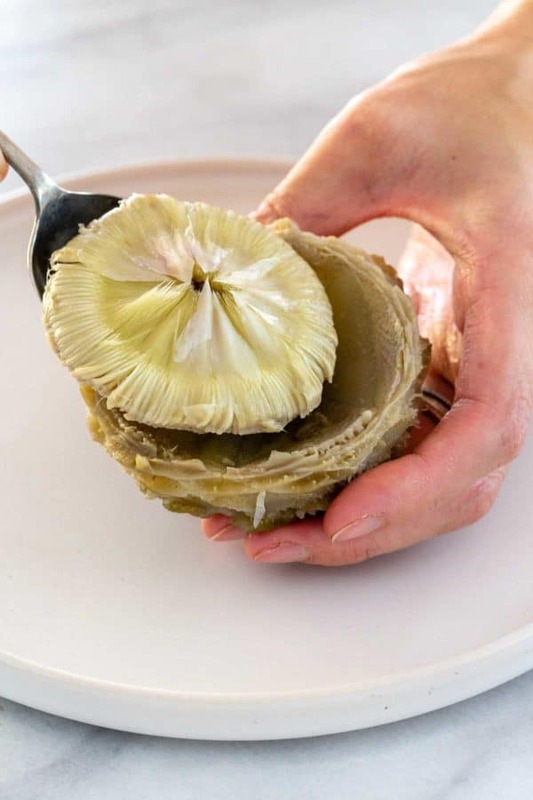 Test for doneness by carefully transferring the boiled artichoke to a plate then tugging on one of the large outer leaves. If it’s easy to pull off the base, it’s ready. Otherwise if needed, add back to the water and continue cooking until it’s tender. Cook time is between 20 to 35 minutes depending on the size. Drain and cool slightly before serving. Fill a pot with enough water so that it doesn’t go above the steamer basket. Place the steamer basket in the pot and then the trimmed artichoke. Cover the pot and steam over medium-high heat. Once the steam builds up in the pot, cook until the outer leaves are easy to pull away from the base. Remove the artichoke with tongs with the heat turned off. The steam is very hot so be careful when removing the cover. This method takes 20 to 35 minutes depending on the size. Allow the artichoke to cook slightly before serving. How do you remove the artichoke heart? After all of the leaves have been eaten and removed, you’ll find a meaty heart in the core. Just remove the inedible fuzzy, bristle-like piece on top. The heart will be tender from the selected cooking method, so it’s easy to cut in half and eat right away. 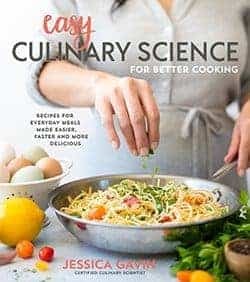 You can also use it in a variety of ways such as coating it with breading for a crunchy surface or add it to salads, pasta, or pizzas. 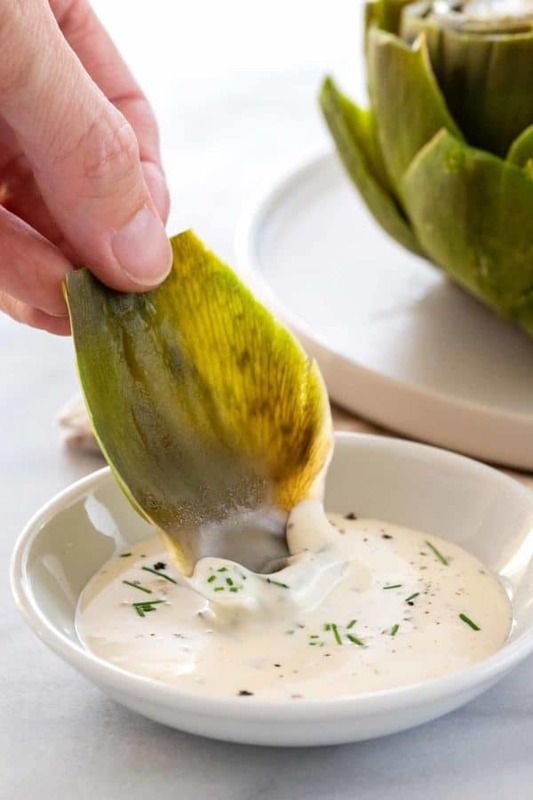 What sauce do you serve with artichokes? Artichokes can be eaten plain, or simply seasoned with salt and pepper. To kick up the flavor, serve it with a sauce like hollandaise, melted or browned butter, garlic mayonnaise or pesto sauce. It’s fun to dip each leaf in the sauce, and then scrape the meat away using your teeth. Cut up the heart enjoy with the toppings! How do you stop the artichokes from turning brown after cutting? 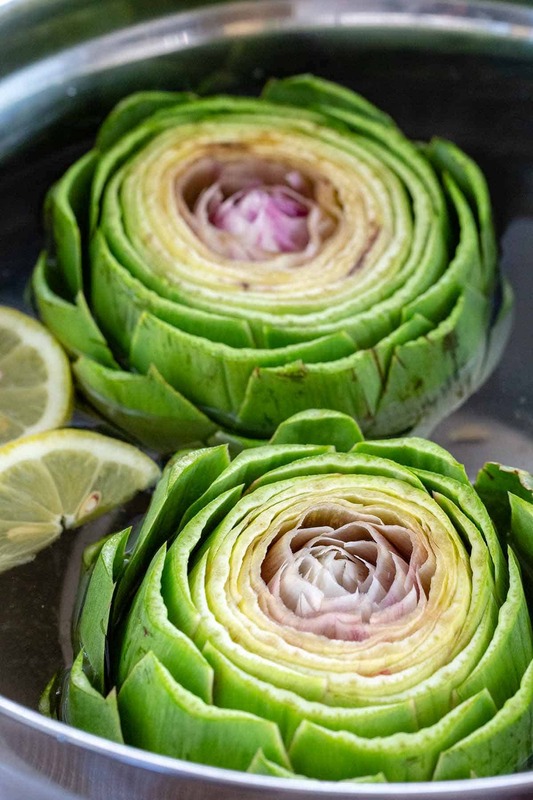 Place the cut artichoke in lemon water so that the exposed trimmed leaves won’t brown. That exposed flesh oxidizes quickly when exposed to air. 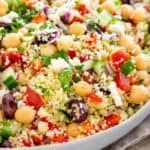 A dip in acidulated water can help prevent enzymatic browning of the vegetable by lowering the pH of the liquid environment and reducing enzyme activity. Learn how to cook artichokes perfectly every time using the boiling and steaming methods to create a delicious shareable appetizer or snack. 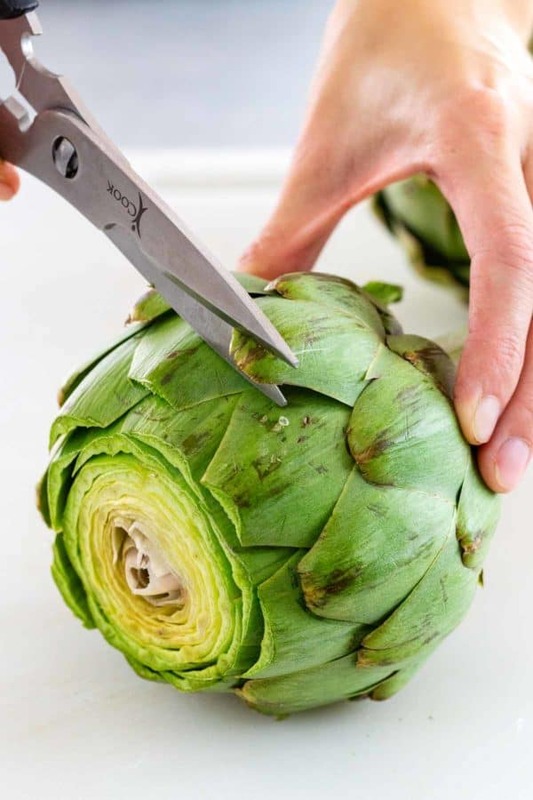 Hold the base of the artichoke and use kitchen shears to trim the ends of the leaves to remove the sharp thorns. The top two rows of leaves do not need to be trimmed. Hold the artichoke firmly at the base and use a large chef’s knife to cut the top two rows of the leaf tips. 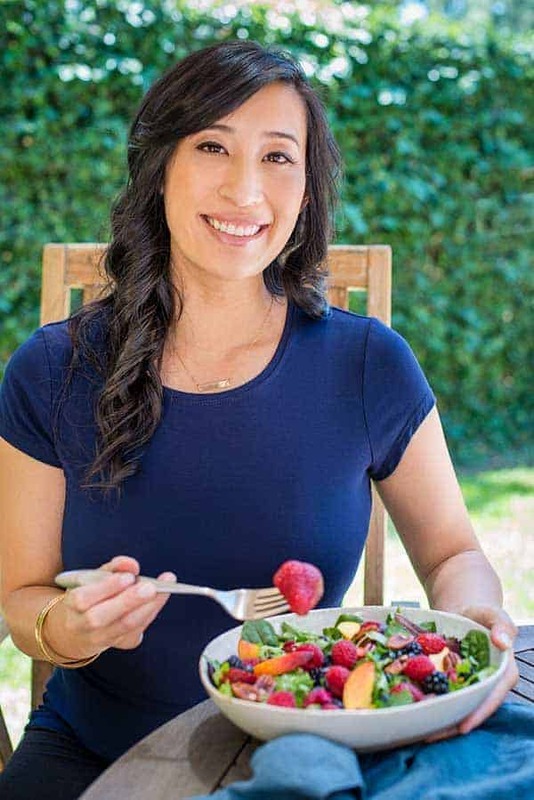 Add to a medium bowl with 1 quart of water and 2 tablespoons lemon juice. Submerge and let it sit in the acidulated water until ready to cook. This helps to prevent the leaves and stem from browning. Remove artichoke from lemon water. Bring water and salt to a boil. There should be enough water to cover the artichoke. Add artichoke to the water, reduce to a simmer, cover and cook until the leaves can be easily pulled off, about 20 to 35 minutes depending on the size. Drain and cool before eating. Remove artichoke from lemon water, shaking off the excess moisture. Fill the bottom of a large pot with about 2-inches of water, so that it is below the steamer basket when inserted. Add in the steamer basket and then the artichokes. Cover the pot and turn the heat up to medium-high. Once the steam is built up in the pot, start the cooking time. Cook until the leaves can be easily pulled away from the bulb, about 20 to 35 minutes, depending on the size. Used the steaming method for years. 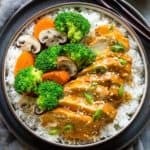 Recently switched to pressure cooking. About 7-9 min. at pressure depending on size of choke. Perfect every time. Biggest challenge is finding “good” chokes in Asheville, NC.